If you are interested in a more automated solution or some of the options above, the Enterprise Account is a must to look at. 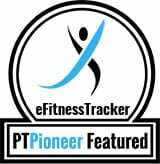 The eFitnessTracker Enterprise Account is an extremely powerful tool that is geared towards proprietors looking to monetize from targeted web traffic they have or wish to expand on, multi-trainer groups, health clubs, entrepreneurs, and anyone how wants to seamlessly provide a unique and easy to offer fitness solution to their target market. The eFitnessTracker Enterprise Account is a complete, easy to use online application that enables users with diverse backgrounds and fitness levels to create and track a customized fitness and diet program that meets their specific goals and objectives. Moreover, it empowers your business with cutting edge tools to market products and services to a captive audience interested in health and wellness. For those users who want the option of some of the benefits of a personal trainer or nutritionist without the expense, this flexible application makes it happen. By answering some questions about their current lifestyle and what they hope to accomplish, eFitnessTracker can recommend a complete fitness program. At the same time, eFitnessTracker provides direct, seamless integration between the user and a trainer. Users can record and track their progress on their own or with professional guidance from anywhere, at anytime. Users of eFitnessTracker can keep track of their development either through a customized web portal or their Mobile Device. This flexibility provides up to date information and a consolidated view of progress for a total solution towards healthy living. eFitnessTracker provides you with the ability to plug in your own advertising to promote products and generate revenue. After you find traffic to your website, you are only part of the way there. The next step is to engage the visitor to take an action and the top priority must be to collect their information. Not everyone is ready to buy on the first look. Sometimes it takes 10-11 touches to the potential customer before a decision to buy happens. We provide an easy and informative lead capture tool in the form of a Fitness Analysis. By answering some basic questions, a visitor to your site can receive calculated results and recommendations on their Personal Fitness Profile. At that point the visitor has converted into a potential customer. Now the company can create customized content to distribute to the potential customer periodically in a newsletter format to create the necessary touches so that the potential customer feels comfortable enough to become a customer. eFitnessTracker provides your company with an eCommerce Solution that works right out of the box. Our cooperation with Paypal allows for instant payment and administration with a proven partner. Products and services are easily setup and your business receives instant notification when a purchase is made. In addition, members are setup immediately in the system at time of purchase. There is no further administration required. The incentive-driven eFitnessRewards program encourages your members to adopt habits that will gradually lead to permanent healthy lifestyle changes, such as increased physical activity and healthy nutrition choices. Our product encourages users to set personal health and fitness goals, and then allows them to easily monitor their progress while staying motivated and interactive. You decides what rewards to offer. This creates an opportunity to further promote products whether it be through sponsors, affiliates or products you directly offer. Such rewards can include promotions, coupons, free items, or whatever you decided. Please fill out the following form. We will contact you shortly and also email an additional document with information on the Enterprise Account. The document includes a sample site and sample logins to get a better look on the inside. It also has all information on directly signing up and getting started immediately with full site setup and customization within 24-48 hours. We will work closely with you to understand your business objectives so that we can get a better idea of how our system can fit into your requirements. It is important to us that your business is profitable and our system is helping to make it profitable. What times are best times to contact you?